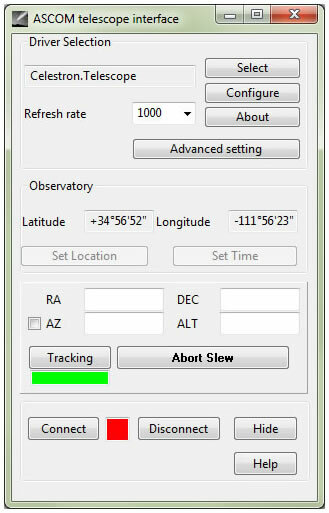 This guide describes how to connect a Celestron telescope mount to your computer over WiFi using ASCOM drivers which will allow you to control the telescope mount using standard ASCOM based astronomy software. 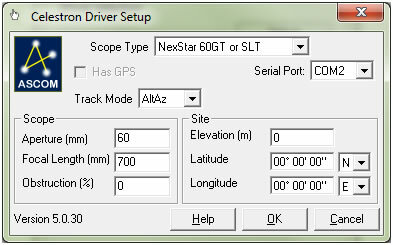 Our test setup is based on a Celestron telescope GT Mount with NexStar+ hand control (serial port based only) and the operating system is Windows 7 64-bit. The serial WiFi adapter we use is part number UCW232C. By default the serial WiFi adapter has DHCP enabled so you can connect directly to the UCW232C using an Access Point with DHCP enabled. If you want to connect the serial WiFi adapter using a wireless router connected to your PC, please jump to the section called: How to connect using a wireless router. You can also connect by using a wired CAT5 cable with one of our serial to Ethernet converters, please contact us for details. The serial WiFi adapter is connected to the hand control via a RJ11 to DB9 female cable. The hand control (serial port based only) is then connected to the telescope mount. 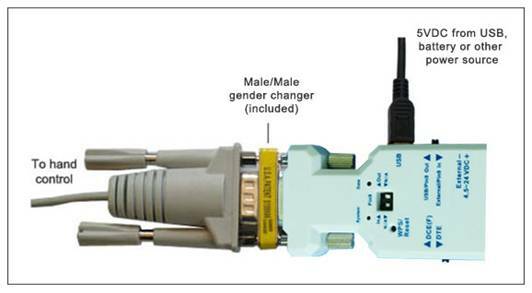 You will need a male/male gender changer to connect the serial WiFi adapter to the DB9 end of the RJ11 to DB9 cable. This cable is used for connecting the serial WiFi adapter to the hand control. This rechargeable lithium USB battery pack is optional but very useful if you have no other power source for the serial WiFi adapter. The UCW232C serial WiFi adapter is pre-configured for most astronomy software, so you will most likely not need to change any of the adapter's parameters. Connecting to the UCW232C over WiFi. 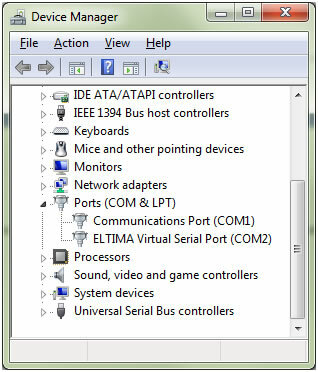 Now we need to create a virtual COM port in your computer so the software you are using (for example ASCOM and Cartes du Ciel) can connect to the serial WiFi adapter. 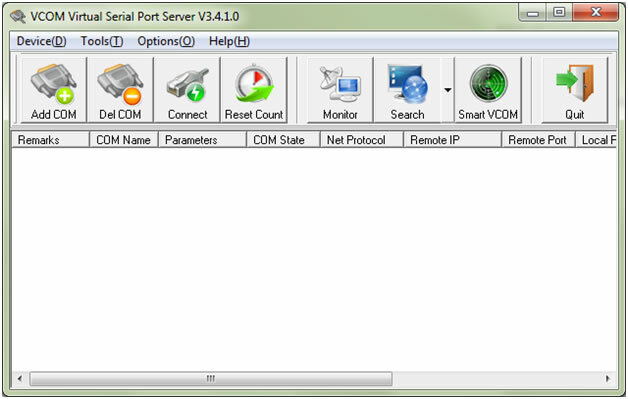 Select the COM port number you want to create, in this example we use COM 2. 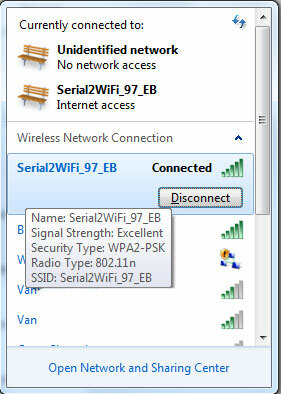 Also enter the serial WiFi adapter's IP address 192.168.10.1 and port number 8080, then click the OK button. You are now ready to connect your computer to the hand control via the serial WiFi adapter. First connect the serial WiFi adapter to the hand control using the RS232 / RJ11 cable and the male/male gender changer. Below is an illustration of the connections from the hand control cable to the serial WiFi adapter. NOTICE: The DCE/DTE switch on the side of the adapter must now be in position DTE. 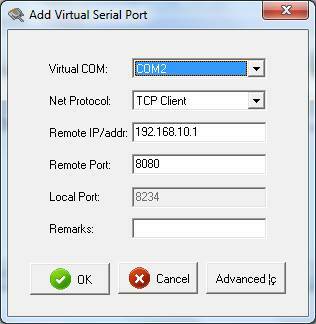 Click the ‘Properties’ button and set the serial port number to the number created by the virtual COM port software; in this example COM 2. Before you can use your wireless router to communicate with the serial WiFi adapter you first need to configure the adapter as an infrastructure device, also called Station Mode. Please follow the instructions below. Reset the adapter to make sure it has all default settings. Login to the adapter via an access point. Once you have logged in, go to the “Wi-Fi” menu and change the WiFi Mode to “Station”. 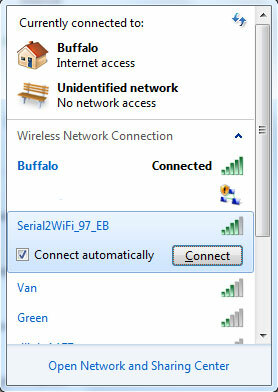 Then click the “Scan” button to scan for a wireless router. 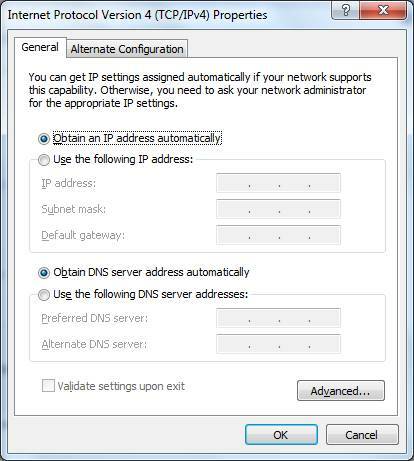 Select the wireless router once the adapter finds it and then select the security protocol and enter the password. Click “Save” and “Reboot” and then power cycle the adapter. Let the adapter reboot and then login again. If logging into your wireless router is not an option then you can use an IP Scanner to find the UCW232C. 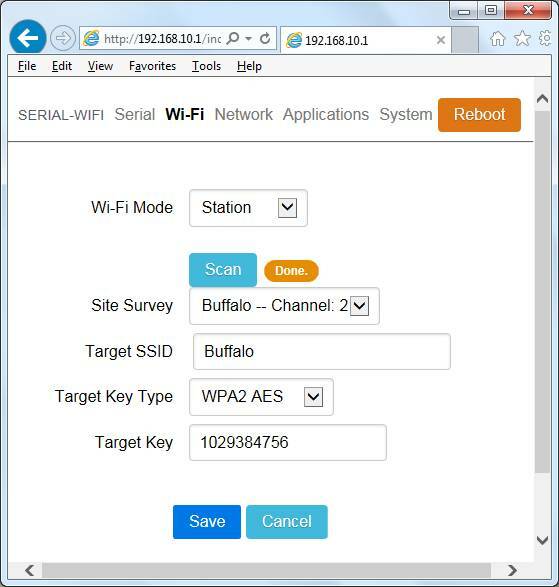 We recommend “Advanced IP Scanner” http://www.advanced-ip-scanner.com/ which is free and easy to use. 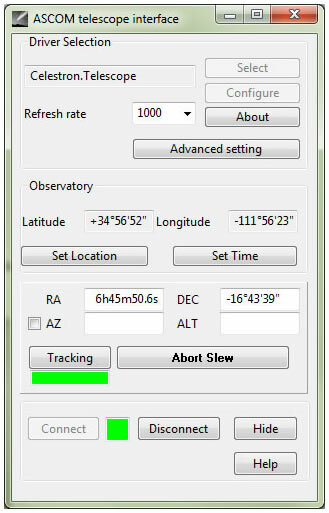 You can now create a virtual COM port as described above, through your wireless router, and then connect to your telescope. You have either connected the serial adapter incorrectly or the baud rate was not properly set or the virtual COM port has not been successfully created. For the two first reasons you will need to recheck your setup and confirm that the serial WiFi adapter's baud rate actually is 9600. If the serial virtual COM port for some reason has not successfully been created a computer restart can help. Check the COM port number after restart. 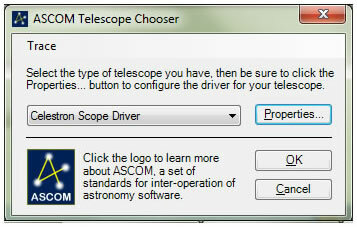 If this does not help, try and delete the virtual COM port and recreate it using the USC VCOM software.